Another day, another autumnal themed post, hashtag sorry, not sorry. I absolutely love living in Bournemouth. Location wise it’s perfect with both the beach and the forest a short drive from our home and plenty to do all year round. As the weather gets a little colder, and a day at the beach isn’t as appealing, there is still lots to do in and around the town. If you are local to Bournemouth, or planning a visit this season, here are some of my suggestions for things to do! I am a huge fan of Centre VR since heading along on a review visit recently. I have never been a big gamer before, but the games at Centre VR are so much fun it’s impossible not to enjoy it! Try your hand at flying a plane, spot whales under the ocean or walk the plank out of a high rise building before battling it out against your friends with a game or two of Tower Tag (it is utterly addictive and brings out your competitive side)! Centre VR is located opposite Miller and Carter in the Bh2 Leisure complex. Just because the weather is getting colder, there’s no need to head inside to have a good time. Moors Valley is one of those places that has something going on whatever the weather and I love to head over there in autumn when the leaves change colour and everything looks so pretty and picturesque. Wrap up warm and go along one of their walks or try out Go Ape, which is located in the country park itself. Plus, there is no entry fee to the main park itself, just pay for parking. We went along to the launch event of this indoor crazy golf venue earlier this week and it is so much fun! Mr Mulligans is located in the Bh2 Leisure complex, just next door to Centre VR and is laid out over two floors with three individually themed courses to choose from. I absolutely loved how quirky the holes were and, although some were quite challenging, it was a lot of fun and I can’t wait to go back with Ed and the kids! A big plus is that there’s a bar and food available, which makes it the perfect rainy day out. I am not gonna lie, the idea of these escape rooms makes my throat close up. There is no way I would go in one with my anxiety as it is triggered by feeling trapped, which is sort of the main point when it comes to escape rooms! However, I wanted to include it as I think they are brilliant for others and would be the perfect wet weather activity. There are lots around but The Lockey is located in the centre of town and has three themed rooms providing plenty of fun. I think the Ace Ventura adventure game, suitable for those aged 8 and over, sounds like fun (I just wish I was able to take part)! I couldn’t put together a things to do in autumn list without mentioning pumpkin picking. Sopley Farm is located just outside of Bournemouth and provides seasonal fruit and veg all year round. 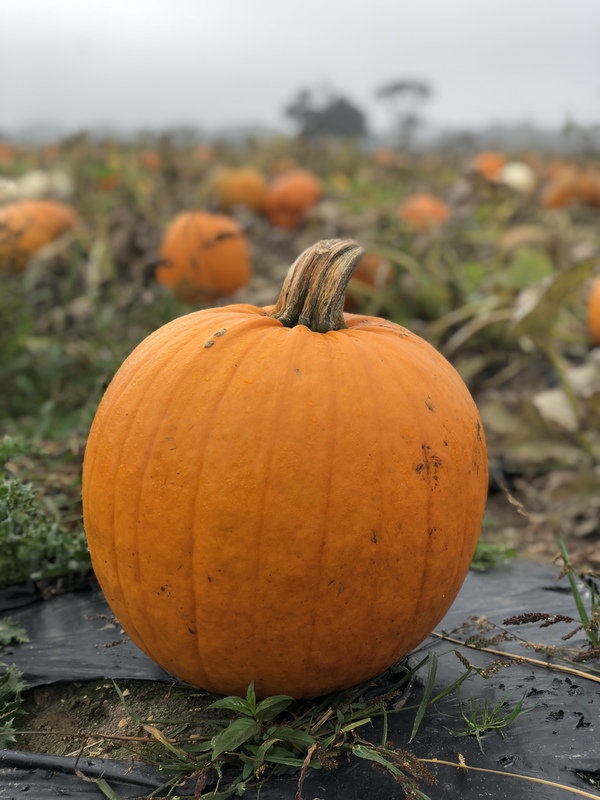 As well as being the perfect place to go to get your pumpkins, it’s also brilliant for bloggers wanting to get that shot for the ‘gram…. Plus, if you needed yet another excuse to head over there, they also do the most delicious home-made millionaire’s shortbread.